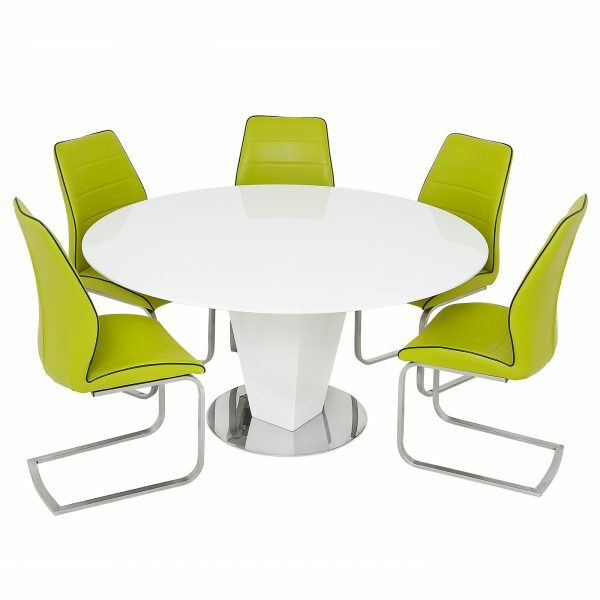 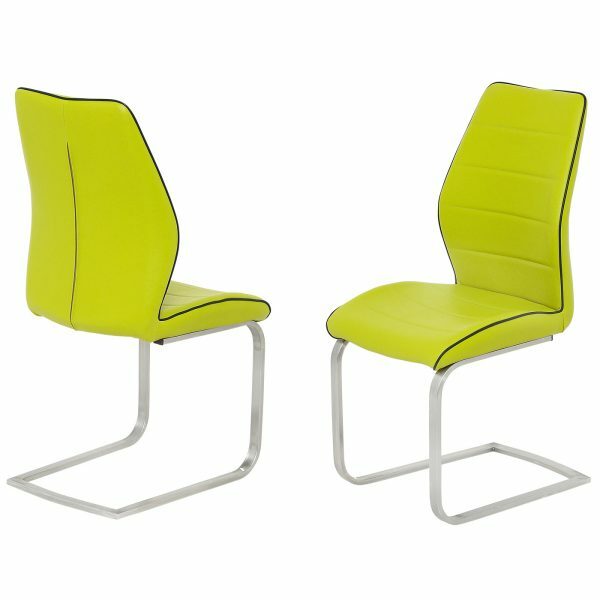 Ancona Cantilever Dining Chairs: The Ancona Cantilever Chairs are a unique blend of comfort and retro-futuristic styling. Designed to complement the curves of the Lombardy Round Table, Ancona is one of the most comfortable Chairs you will find. 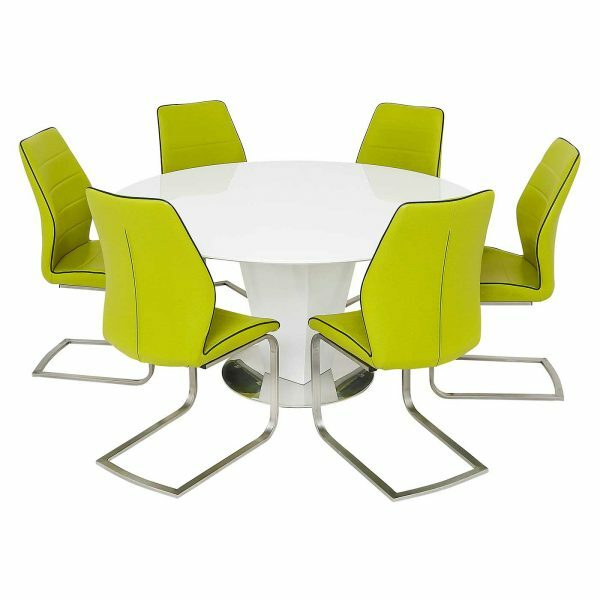 The Lime Green colour is accented by a Blue Trim with stylish lines & stitching, and contrasts appealingly with the brushed steel frame.